Whether you're a car or truck collector, or if you just want your favorite vehicle brought back to life, we can help. We know from experience that the key to providing the highest level workmanship is an intense focus on the values that guide our actions: honesty, integrity, quality workmanship and friendly service. 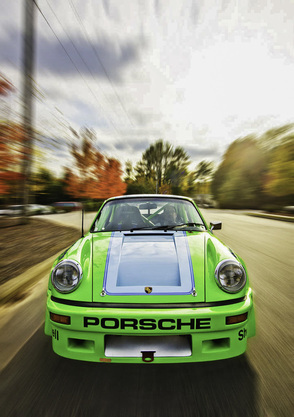 We insist on giving our best effort when performing the art of auto restoration. At Washburn Classic Restorations we work with the thought that our clients will keep their "dream rides" for the remainder of their lives, and possibly even pass them on to their families to enjoy with the same passion. We pay attention to every detail, and we want our clients to be polishing their pride and joy for many years to come. We want them to know beyond a shadow of a doubt that we have provided the highest level of workmanship. All of our projects are governed by a written contract that protects both our customers and us. We believe in keeping our customers well informed every step of the way, and we provide periodic detailed updates. In addition, we are active on Facebook and we frequently post photos of our projects. That way, you, your family and friends can keep tabs on your vehicle as it is being restored. We are also one of a small number of shops that give their customers the option to end any restoration project on short notice without penalty. Not a single customer has ever done so; but the option is there for you. If you have any questions about our services, please call us at (919) 701-9877 and we will be happy to answer them. Shawn Washburn, our owner, began his automotive career when he was 11 years old working in his father’s auto restoration and repair business. His dad taught him the primary rule to restoring vehicles: "Do it right the first time." In his teens Shawn began restoring old cars, from Corvettes to Oldsmobile 442’s to vintage Plymouths. Since then Shawn has become an expert in all aspects of car and truck restoration, including structural analysis, frame repair, fabrication, customization, mechanical repair and painting. With 20+ years of experience in the automotive industry, and as a business owner for 10+ years, Shawn understands the importance of integrity, honesty and customer service. He and his team of experts are skilled, hard working and honest; and they enjoy restoring cars and trucks that will put smiles on their customers’ faces.